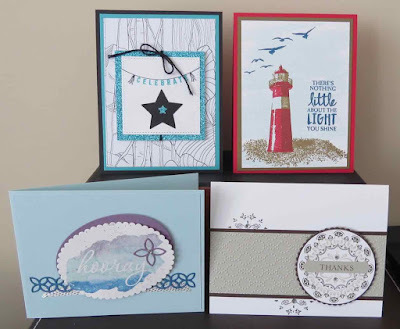 Karina's Kreations: Krafting Crew Cards! These were the cards we made at my Krafting Crew stamp night. My team is called Krafting Crew and you join my group when you purchase the starter kit. The starter kit is a great deal right now. The ocst is $135.00 and you get to choose $165.00 in product plus two extra stamp sets of any price and you get free shipping and pay no Gst. This sale is only on until March 31. 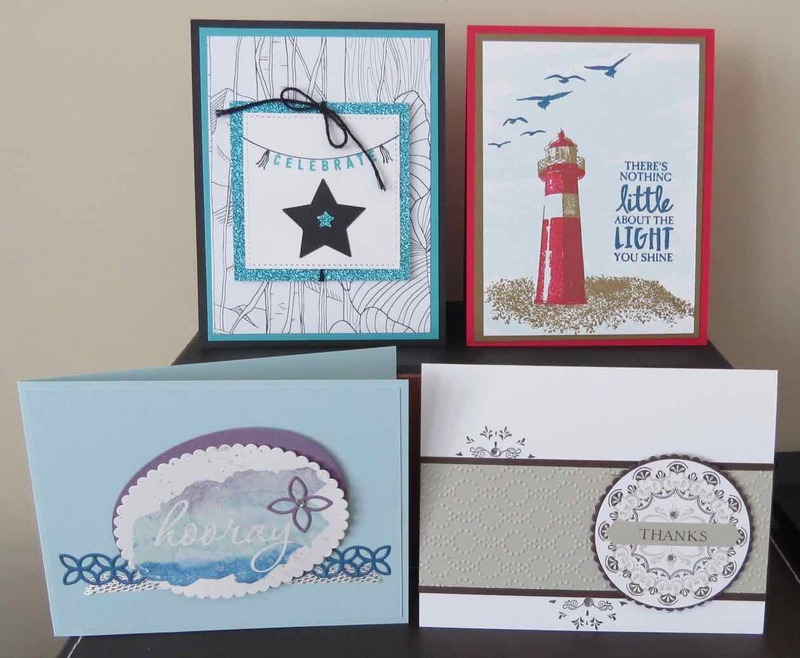 By signing up now, you'll also get the new Stampin' Up catalog early and can take part in the pre-order. You also save 20% off all orders. You will also get an invite to my Onstage after party stamp night on April 22. It's going to be fun! !